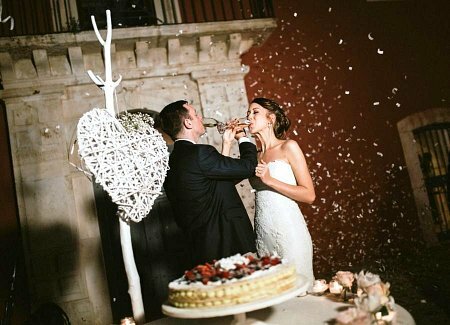 Our couple dreamed of a classic Italian wedding: amazing food, Mediterranean sunshine and a timeless, elegant location shared with family and friends – an expression of their love and life-long commitment to each other. 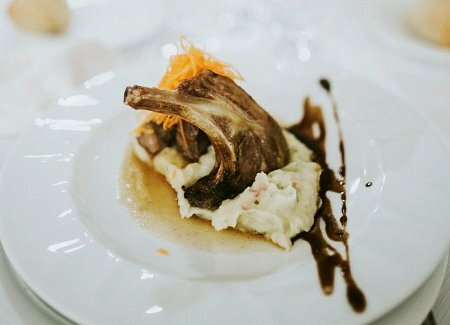 Authentic enough to honour family roots in the Puglian region; special enough to feel like a once-in-a-lifetime trip for them and their hundred guests. 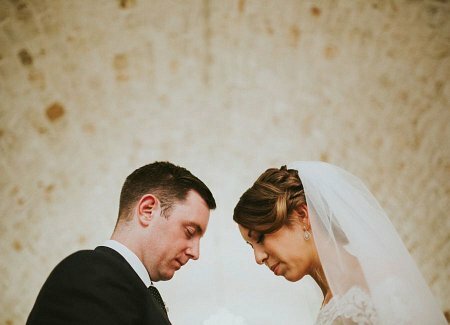 A simple, intimate wedding ceremony among the elegant arches and olive trees of a ‘masseria’ farmhouse. Prosecco, local wines, and a six-course Puglian feast: fresh-made antipasti, ‘orecchiette’ pasta, local meats and fish. A classic Italian wedding cake of mille-feuille pastry, fresh cream and fruit – light yet indulgent. 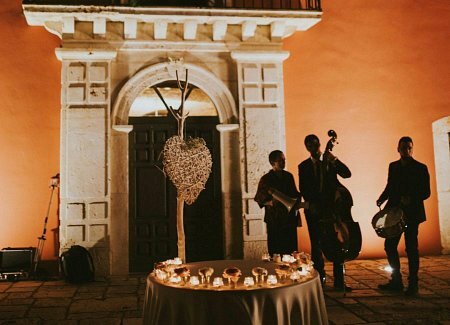 Live jazz and merriment in the warmth of a Puglian evening; and later, dancing under the stars in the courtyard of the masseria; partying until the small hours with a DJ and a cocktail menu of the couple’s favourite drinks. 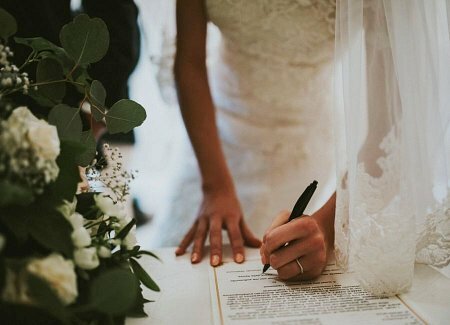 A location and a celebration memorable enough to do justice to a unique day, and a perfect start to the couple’s new life together. 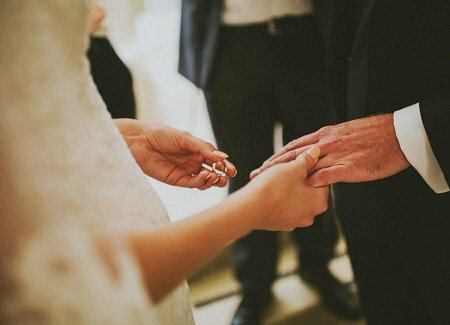 “A huge thank-you to the Madama team for giving us our dream wedding. 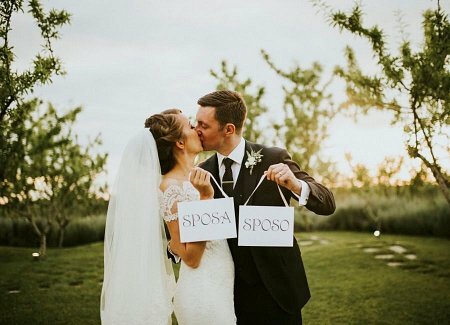 We always wanted to get married in the south of Italy, where our family is from, but didn’t think it would be possible. 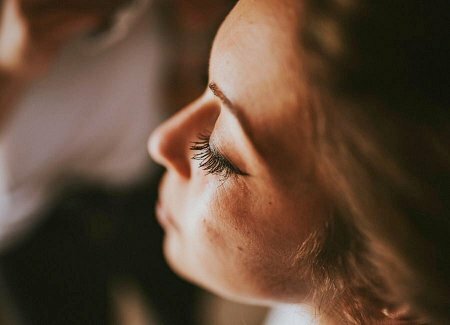 Elisabetta was instantly interested in our wedding plans and it felt like talking to an old friend! “We arranged an initial meeting with Elisabetta in London and it became clear early on Madama were incredibly professional, warm, organised, and were highly connected to suppliers in Italy, meaning anything was possible. The Madama team listened to all of our requirements and suggested a selection of different venues for us to visit. They arranged for us to meet the managers, who hosted us with generosity, outstanding hospitality and a range of food and drinks on arrival. 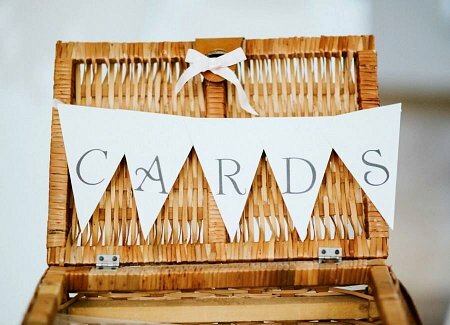 We felt totally spoiled and it really added to the whole newly-engaged experience! “The team took care of everything. Over the course of a year we got to think of the Madama team as great friends and looked forward to our visits to Puglia. Each time the standard was impeccable, we were often greeted at the airport, given suggestions for local restaurants, and had organised itineraries ready for our stay. 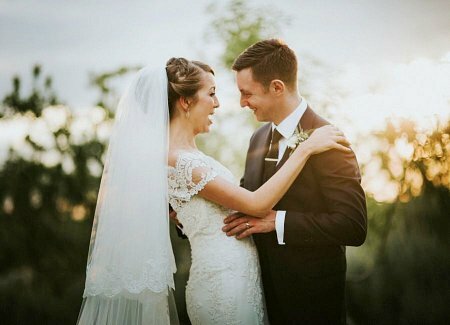 “The wedding turned out to be everything we could have dreamed of and more. 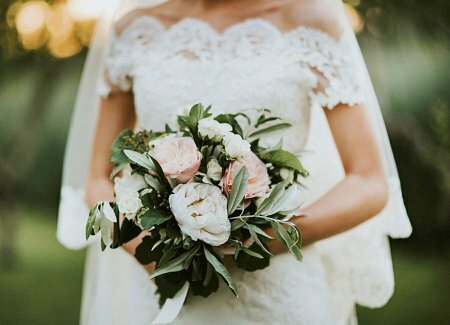 You would not believe the flowers, food and wine on the day! It was above and beyond what we could have achieved in England. 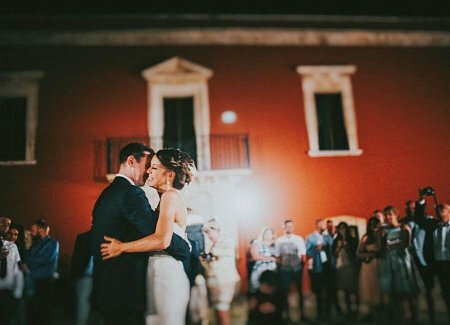 Dancing until midnight under the stars in an Italian masseria is something us and our guests will never forget. 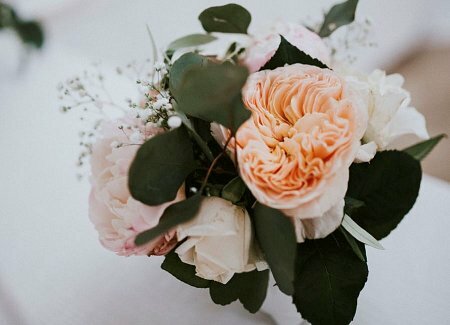 “We were able to plan an incredible weekend for our closest friends and family with great support, original ideas, a religious ceremony, an amazing band, transport for all of our guests, make-up and hair for eight bridesmaids, one bride, one flower girl and three mums! 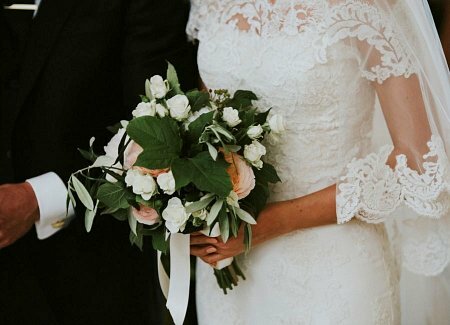 Madama truly took away the stress of organising a wedding and made it thoroughly enjoyable. They always provided us with plenty of choice, were always available on the phone or via email, and treated us like family. 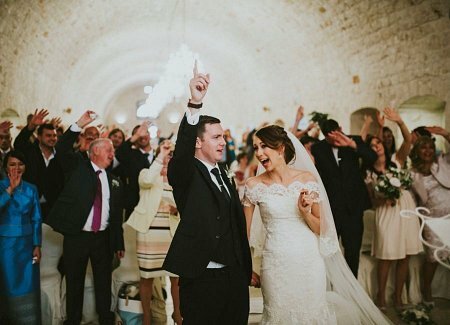 The couple first set eyes on our ‘Elegant Masseria’ early in the wedding planning process, on a weekend tour with the Madama team of venues we’d identified as suitable for their needs. And it didn’t take long for them to decide this was the location they wanted for their wedding. 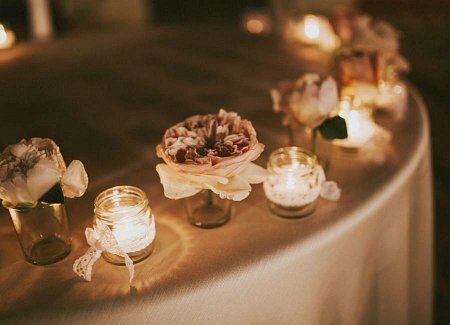 We knew they’d fallen for the place when we caught the couple dancing cheek-to-cheek, quietly and unaccompanied, in the dining room, on their first visit to the venue. Owner Ernesto has a gift for making his guests feel not just welcome, but like old friends returning. And the masseria’s classic, film-set-Italian looks – grand yet understated, stylish yet uncomplicated – are, put simply, breath-taking. And so, with the venue chosen, we set to work on making each detail of the couple’s dream wedding a reality. 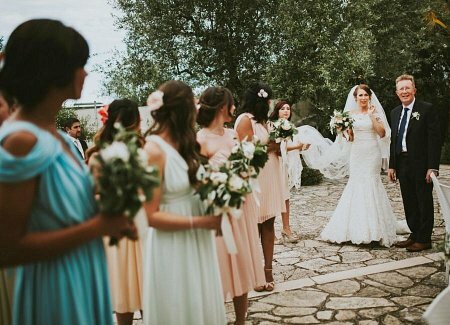 We guided them through every aspect of the planning process – from venue to transport, menus to flowers, finding a photographer and videographer, and a team of professional hairdressers for bride and her eight bridesmaids – supporting their decision-making with our wedding expertise and knowledge of Puglia, and working with our network of trusted suppliers to ensure the couple’s every need was met. 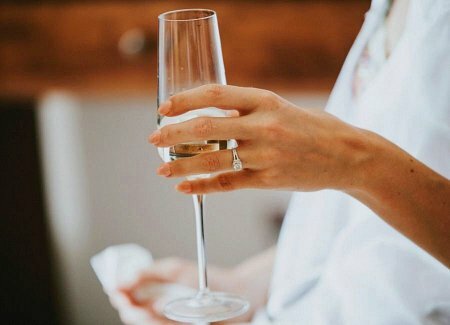 We arranged a weekend trip for the couple in advance of the wedding, giving them the opportunity to try their full wedding breakfast menu ahead of time – right down to the wines and cocktails they would drink – and a trial of the bride’s wedding hairdressing. And we arranged the special little details that would help make the day unique and memorable: the floral decorations of English roses (a little reminder of home to compliment the beautiful Mediterranean setting); the artisan chefs who made mozzarella and Puglian paella from scratch in front of the guests; the quirky-yet-cool jazz band, playing both English and Italian songs; the evening cocktail menu, tailored to perfectly match the couple’s taste. 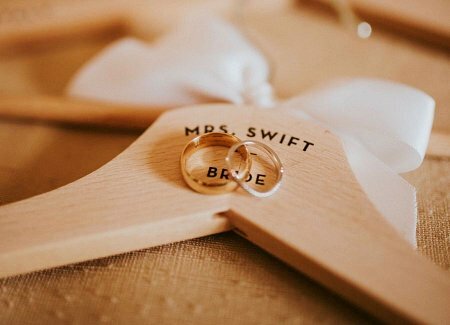 The couple wanted all hundred of their wedding party to stay in one place during their trip, and we found them a location that could do just that. 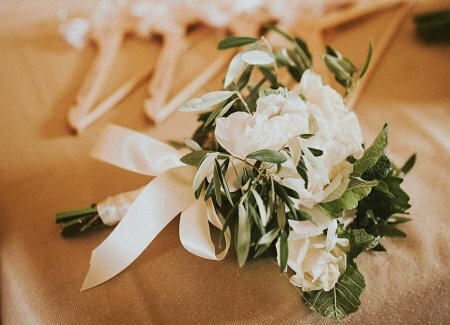 Our ‘Elegant Casale’ welcomed the entire party to Puglia in the days leading up to the wedding. 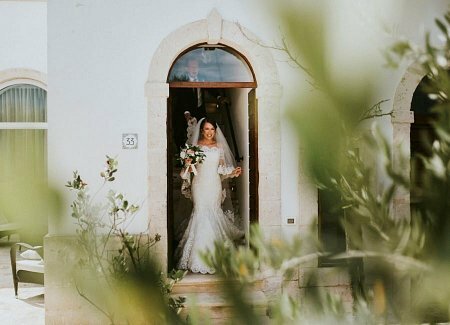 Its elegant rooms, manicured gardens, infinity pool and first-class hosting provided the perfect base for the couple and their guests to relax and soak in Puglia’s uncomplicated charms as they prepared for the big day. 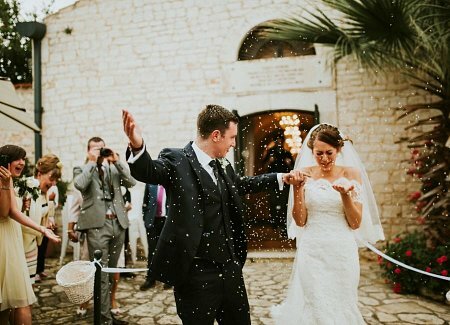 We ensured the wedding party’s arrival in Puglia went without a hitch, arranging taxis from the airport and liaising with the accommodation to ensure everyone got checked in without problems, and any special requirements were catered for. 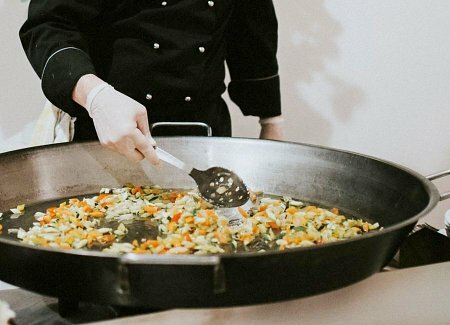 We arranged a party the night before the wedding, where the wedding party enjoyed freshly-made pasta and ‘panzerotti’ – a mouth-watering Puglian snack food. (And a little local beer and wine was consumed too, of course). The perfect way to get everyone in the party mood, and settle any ‘night-before’ nerves! 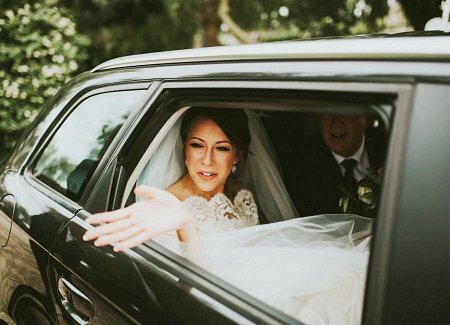 Then we made sure the hundred-strong wedding party all ended up on our two air-conditioned coaches, to be transported to the breath-taking wedding venue – minus, of course, the bride and her father, who travelled separately in the wedding car! And we were there for the couple all the way through their big day, from the first words of the ceremony, to the DJ’s last encore under the stars that night – making sure everything was perfect, that no detail was forgotten, and that our couple, with their family and friends, would remember their first day as husband and wife as also one of their most perfect.